Minnesota Pharmacy Legislative Day: A Resounding Success! More than 200 pharmacists, student pharmacists, pharmacy technicians and others came together at the state capitol on Tuesday to learn about the work of the Minnesota Pharmacy Alliance and the issues that are important to pharmacy and to the well-being of our patients. 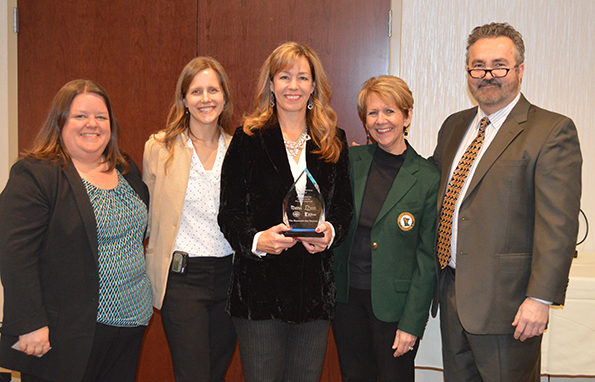 We presented the Friend of Pharmacy Award to former state Rep. Roz Peterson for her work in advancing pharmacy. A record-breaking number of participants met with representatives and senators from across the political spectrum to share information about pharmacy issues, with more than 105 visits that day. Many thanks to all for making the day a terrific success! Speaker of the House Melissa Hortman (wearing red scarf) was one of many legislators who took time to meet with Legislative Day participants. 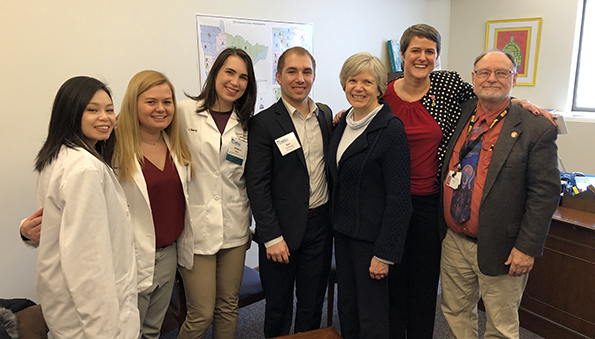 Rep. Laurie Pryor of Minnetonka (third from right) met with MPhA Past President Molly Ekstrand and others. Near the end of our event, a bipartisan panel of legislators discussed issues related to health care and pharmacy. L-R: Sen. Scott Jensen, Sen. Jim Abeler, Sen. John Marty, Rep. Tina Liebling, Rep. Dave Baker, Rep. Glenn Gruenhagen, Rep. Jeremy Munson, Sen. Rich Draheim. Be sure to check out more of our photos from the event on the MPhA Facebook page and follow us on Twitter @minnpharmassoc for updates on legislation affecting pharmacy!